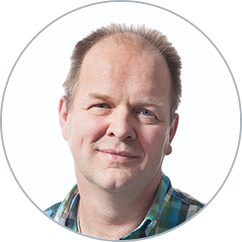 Customers and partners sometimes ask us how the To-Increase Business Integration Solutions for Microsoft Dynamics AX help businesses save time when interfaces are created, and how they compare to other tools. To answer this properly, we need to consider more than calculating the design and development time. Let’s take a look at how the Business Integration Solutions help you simplify integrations and how they compare to frequently used integration tools from Microsoft. 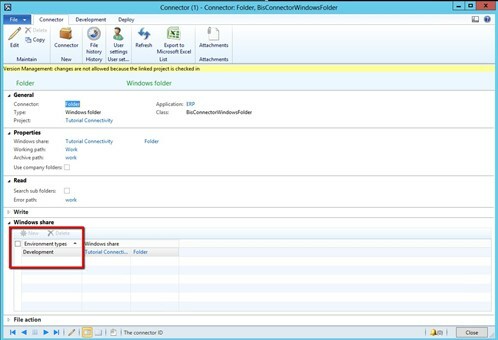 Connectivity Studio provides an easy way to integrate any applications with Dynamics AX. 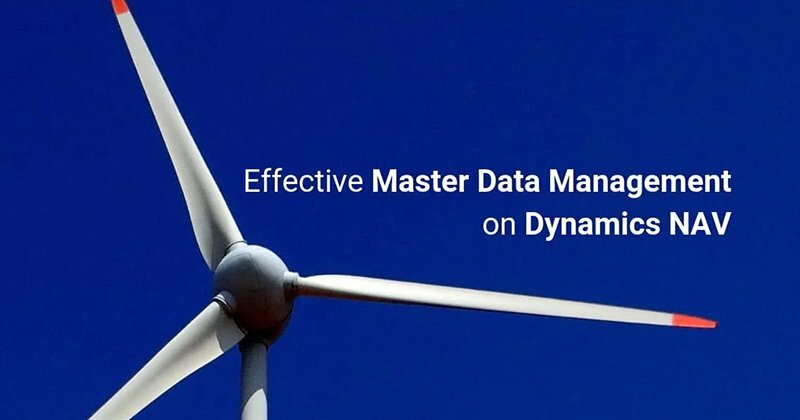 Data Migration Studio supports your Dynamics AX data migration projects in a very intuitive and agile way, reducing the risk and ensuring the success of data migration projects. EDI Studio lets you integrate your own and your customers’ and trading partners’ document flows and information exchanges. Web Service Studio enables real time communications between Dynamics AX and a service bus such as Microsoft BizTalk, apps, .NET applications, websites, or other mobile solutions. To integrate your ERP system with other applications is really not easy. Each application is different in how it behaves and how it supports business processes. In our Business Integration Solutions, we have embedded a wealth of knowledge and experience so you can set up integration projects by means of mappings. You can consider integration histories, business rule validations, database transaction-level settings, constant values, field mappings and how you want to handle errors. We continue to learn, so we keep evaluating and improving our products every day. In each integration project you will need to design, develop, and test integrations. Based on feedback from our customers and partners, the Business Integration Solutions help reduce average development time—which is mainly configuration–by close to 70 percent. Of course, this depends on specific situations; you need to perform more testing in complex projects. A key benefit is that because of the configuration options you will spend less time on the technicalities and more on meeting business requirements. No real Dynamics AX integration specialists are running the project. No standard way exists to set up integrations. Most of the integrations are hard coded, which is neither agile nor easy to manage. Data is not or only partly validated, which does not make it predictable. The business stakeholders are not involved. Putting it simply, Dynamics AX integration and migration projects often fail because of the wrong people using the wrong tools. The added value of the Business Integration Solutions for Dynamics AX is not just reducing the “design” time. They also make integration projects predictable and consistent. In addition, they provide best practice-based guidance, which you do not get when you manage custom integrations in which you have to develop mapping options, history capabilities, and more—for each interface. When you practically create your own integration tools, you also need to maintain, update, and improve them, a complex endeavor. For us, this is our daily job and where we think an ISV is can prove its value. By creating and enhancing standard integration solutions, we save businesses and their IT managers lots of time and trouble. In the Business Integration Solutions for Dynamics AX, we focus on configuration instead of coding. Configuration makes it way faster to set up integrations and it requires less technical knowledge. In more than 95 percent of the usage scenarios we know of, development in X++ is not required. IT departments and technical consultants can work with a proven, standardized solution. It is easy for them to involve business stakeholders in the process and let them review, for example, the results of data migrations. Using the solutions to create integrations is an agile process in which it is easy to change mappings based on business requirements. We incorporate many best practices in the Business Integration Solutions. We make a difference between interface logic and business logic. We use the business logic entities from standard Dynamics AX. Interface logic can be added using conditions or custom code. We also have options to help you avoid wrong settings and combinations, or to hide functionality when that is helpful. We use error indicators in our setup. When you click on an error indicator, you see a warning as shown below. The use of configurations simplifies the environment setup. 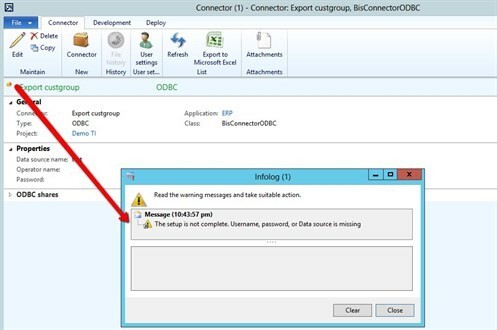 You can define for each environment (development, test, acceptance, and production) the Windows share on the folder connector, because that makes it easy to move data between different environments. On a project level, we use version management capabilities, described in a blog post a while ago. This really helps us to improve the quality and to stop worrying about changes in the different environments, because they are always stored. The history features are also valuable because they enable IT departments or business users to correct and rerun messages. For each record, you can see the incoming values, any related error from Microsoft Dynamics AX, and performance figures. Microsoft offers several integration products that meet some typical integration needs. However, they do not include best practices and are entirely technology-focused. 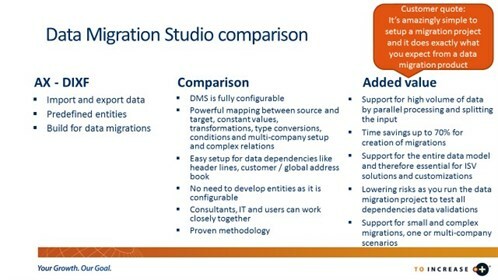 When you compare Data Migration Studio with the Microsoft Data Import and eXport Framework (DIXF) you see that Data Migration Studio works equally well for enterprise-level as well as smaller projects, including those that involve customizations or ISV solutions. 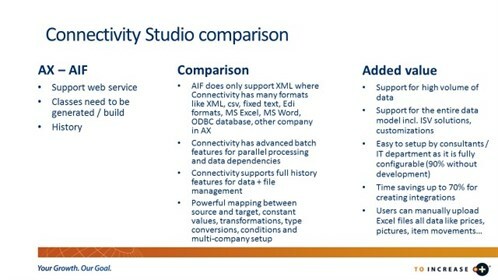 When you compare Connectivity Studio to the Microsoft Application Integration Framework (AIF), you realize that AIF is a developer tool with a focus on XML technology. Compared to Connectivity Studio, it is not agile and does not support a high volume of data sets. To-Increase Web Service Studio is the easiest-to-use web service solution I know. In a minute or faster, you can define your web service and use it in external applications. Technically, we use an application on the IIS for scalability and security, and then deploy a custom web service in Microsoft Dynamics AX. 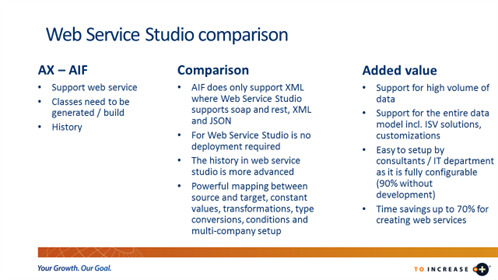 There is no overhead involved and Web Service Studio supports SOAP with XML, and other services with XML and JSON. You cannot use the Microsoft integration products without X++ developer tools and the additional expertise this requires. For each rule there may be an exception, but in general, we are confident that the quality of integration projects using our products is higher, the development times are shorter, and the risks are lower. I can imagine that you want to prove the Business Integration Solutions before you decide on a purchase. We try to make it easy for you to get familiar and comfortable with using the solutions. We keep the product training short as practicing the product is the best way to learn. 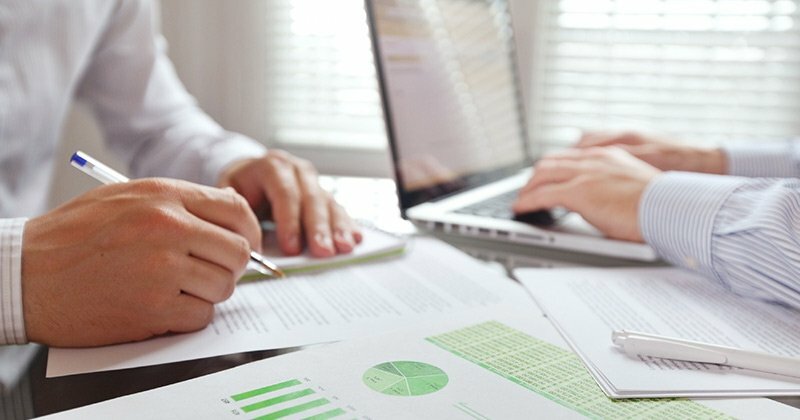 For each solution, we provide a half day of product training. We can add extra workshops to show you how you can meet more complex business requirements with our solutions. In addition, you can join our weekly calls, where you can ask questions from the Business Integration Solutions team on anything pertaining to the solutions and your Dynamics integration and migration projects. Please contact To-Increase to arrange for a demo or get access to our cloud-based demos, so you can try out the Business Integration Solutions for yourself.